Lawn Mowing Services - Call 815-703-0873 For A Free Quote! 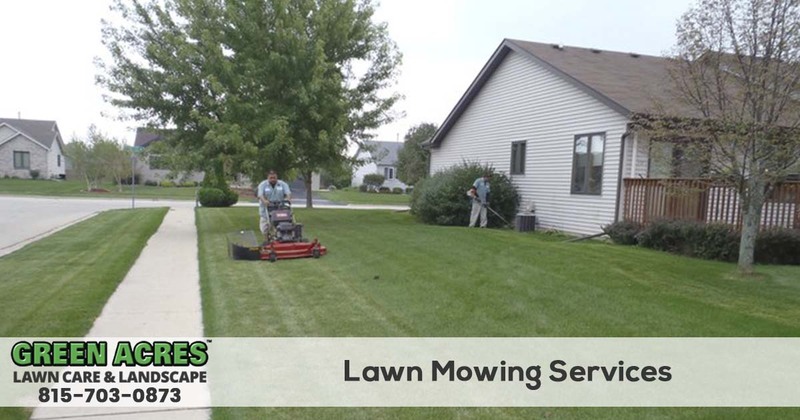 Green Acres Lawn Care & Landscaping Group offers professional lawn mowing services in the Belvidere, Cherry Valley, Dekalb, Genoa, Loves Park, Machesney Park, Marengo, Poplar Grove, Rockford, Rockton, Roscoe, and the Sycamore Illinois area. Our recurring weekly and bi-weekly lawn mowing services are designed to take the hassle out of caring for your lawns routine maintenance. 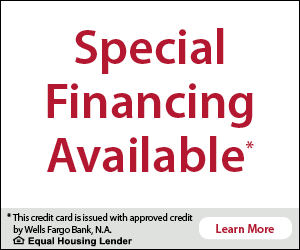 To request a FREE QUOTE, call 815-703-0873 today! When you choose Green Acres Lawn Care & Landscaping Group to take care of the lawn mowing for you, you're working with a locally owned and operated company that has been providing yard mowing services since 2005. We have the experience, tools, and staff to perform the weekly and bi-weekly lawn mowing service consistently and affordably. 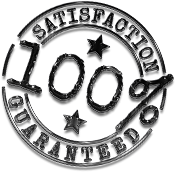 Our lawn mowing services come with a 100% customer satisfaction guarantee. Nothing is more important to us than your complete satisfaction. Green grass is the basis of a beautiful and great looking landscape. Our team of trained lawn maintenance professionals will take the burden of mowing the lawn every week or two off your to-do list. We will service your lawn weekly or bi-weekly with commercial grade mowers that are professionally maintained and blades that are sharpened often. We mow all of the grass, edge along all concrete surfaces, then string trim around flowerbeds, trees, and fences for a manicured look. Before we leave, any grass clippings or debris are cleaned off of your driveway, walkway, patios and landscaped areas. The only finger you need to lift is to pick up the phone and call Green Acres Lawn Care & Landscaping at 815-703-0873 and set up your recurring service. Then take your shoes off, relax and enjoy your perfectly manicured lawn. We highly recommend combining our convenient lawn mowing services with our lawn fertilization and weed control program. Whether you need weekly or bi-weekly lawn mowing services for your home or business, Green Acres Lawn Care & Landscaping Group has you covered. Give us a call today at 815-703-0873 and request a free no-hassle quote.